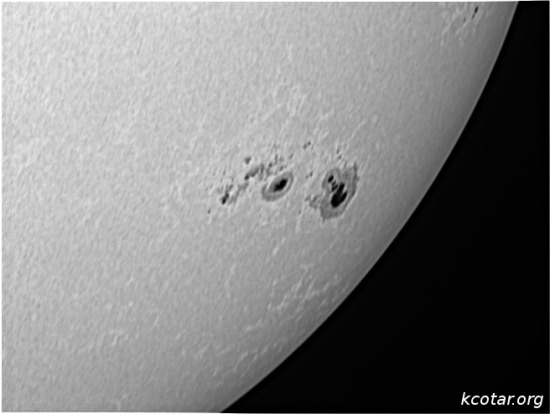 A few days ago, on New Year’s Day, a sunspot appeared over the western edge of the Sun. 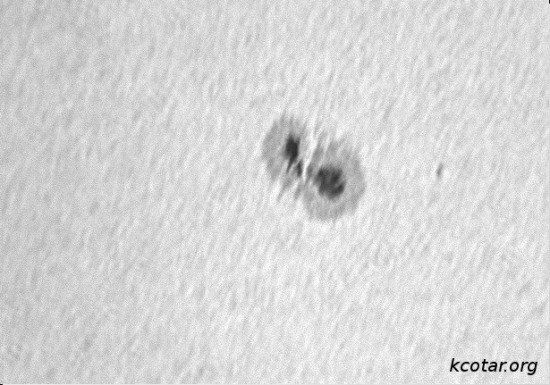 AR1944 is huge and actually consist of more than 50 individual sunspots, the largest of them is far larger than the Earth itself. It was possible to observe it using only unaided eye and proper solar filter (e.g. eclipse glasses). It has been classified as having a beta-gamma-delta magnetic field and these fields are prone to instability that can produce X-class solar flares. 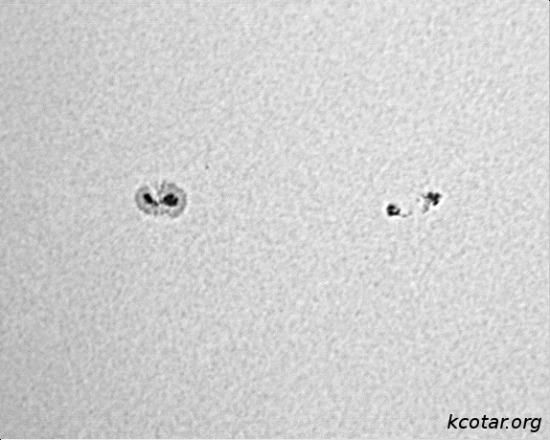 During the rotation around the visible limb of the Sun it was quiet and produced only one major X1 flare. During imaging the seeing was very poor and was even more obvious while imaging at higher focal ratios. 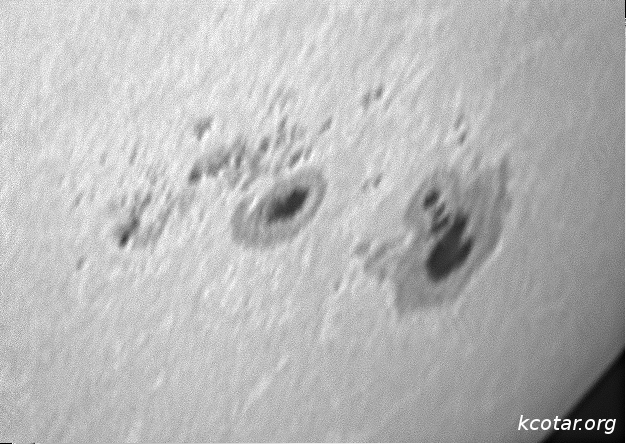 This giant spot is about to rotate off the face of the Sun, this was probably my first and last shot of it. But this is not the only obvious sunspot currently visible on the Sun. I managed to capture a few other. Even more astronomical events ordered by date. Not all events can be seen from every place in the world. Must see stargazing events in 2014, image source unknown. 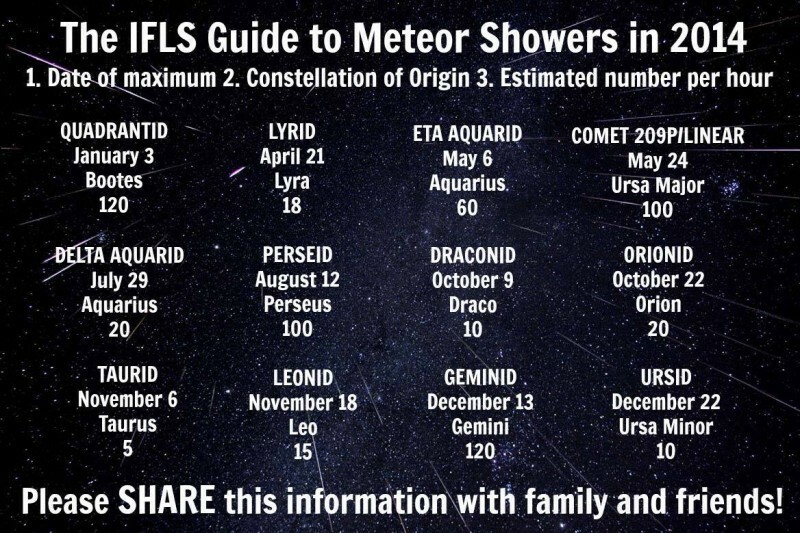 Major meteor showers in 2014, IFLScience.